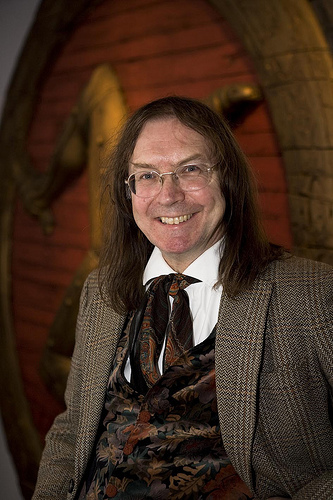 Ronald Hutton is a Professor of History at the University of Bristol in the UK. A leading authority on the history of the British Isles in the sixteenth and seventeenth centuries, Hutton is probably better known amongst Pagans for his writings on topics such as the ritual year in Britain, ancient and medieval paganism and magic, and modern Paganism. A prolific author, Hutton has produced many books of immense interest to Pagans including The Pagan Religions of the Ancient British Isles (Blackwell, 1991), The Stations of the Sun: A History of the Ritual Year in Britain (OUP, 1996), Shamans: Siberian Spirituality and the Western Imagination (Hambledon, 2001), Witches, Druids and King Arthur (Hambledon, 2003), The Druids: A History (Hambledon Continuum, 2007), and Blood and Mistletoe: The History of the Druids in Britain (London: Yale University Press, 2009). The book he is arguably most famous for however, at least amongst modern witches, is The Triumph of the Moon: A History of Modern Pagan Witchcraft (OUP, 1999). This book has been received positively by many leading Pagans, as well as Pagan Studies scholars, amongst whom Hutton is considered to be a trailblazer responsible for making the study of modern Paganism acceptable within academia, thus paving the way for younger scholars to investigate it via disciplines such as anthropology, sociology, religious studies, theology, history and archaeology. Other Pagans have not been so pleased with his work however, and in January of this year – over a decade after the publication of The Triumph of the Moon – a vitriolic war of words erupted on the internet as a result of discussion over a publication by New Zealand Wiccan, Ben Whitmore, called Trials of the Moon. Professor Hutton, thank you for consenting to this interview. You don’t often give interviews. Why have you agreed to this one? Because I really like your own scholarship, as expressed in your publications, and because there is currently so much misunderstanding and misinformation being put out about my work in some parts of the Pagan world that I thought it was time to set the record straight about certain things. You have recently been described as a ‘maverick historian’. Do you think that you are one? The Wiccan who made that remark never explained what it was supposed to mean, but within the academic world the term carries only negative connotations, of eccentricity, marginality and controversy. My own career has, on the contrary, been remarkably orthodox for a professional scholar, while my work has actually provoked less controversy among my fellow professionals than that of most university-based historians. So what has that ‘remarkably orthodox career’ actually been (so far)? I took my degrees at Cambridge and then Oxford, Britain’s oldest and best-known universities, and held a temporary post at Oxford for a couple of years before Bristol University invited me to a permanent one in 1981. Bristol is often reckoned to be the third best in England after Oxford and Cambridge, in terms of the quality of its students, and gave me a freedom to teach new subjects that the older universities could not. In 1988 I was promoted to the middle rank of the British academic profession, of Reader, and in 1996 to the top rank, of Professor: some confusion is created abroad by the fact that in most countries ‘professor’ is a term used for any university teacher, while in the United Kingdom it is reserved for the highest grade. In 1981 I was elected a Fellow of the Royal Historical Society, the national body of professional historians. In 1994 I was elected a Fellow of the Society of Antiquaries, the national body of professional archaeologists (who gave me this honour for my book Pagan Religions of the Ancient British Isles). In 2011 I was elected a Fellow of the Learned Society of Wales, for my services to the study of Welsh history and literature. It is very rare for anybody to receive all three honours, and this reflects both the wide range of my interests and the fact that my work is generally accepted by experts in all three fields. In 2009 the government appointed me as the historian on the commission which runs English Heritage, the body which cares for the physical remains of the nation’s past, and in 2010 it made me chair of the committee of experts which advises it on which buildings should be protected as having historic importance. The only unorthodox thing about my career, in fact, has been my interest in modern Paganism. So are you a Pagan? I keep my personal religious beliefs a private matter. I am really sorry for the confusion that this may cause, but I have found by trial and error that it is in practice the only sensible course in view of the work that I do. In that case what is your relationship with Paganism? It has been long and close. As I mentioned in my book Witches, Druids and King Arthur, I was in fact brought up Pagan, in a modern English tradition which combined a reverence for the natural world with a love of the ancient Greek and Roman classics. I have been acquainted with Wiccan witches since my teens: I learned some things from Alex Sanders in his hey-day, and attended my first Wiccan rite at Halloween 1968. I have never undergone a conversion experience to any religion, and so my relationship with others, such as Christianity, is one of entirely benevolent neutrality. Over the years, I came to build up friendships with more or less all of the leading figures of British Paganism. For example, Doreen Valiente’s respect for me meant that I was one of the few people whom she specified should be invited to her funeral, a gesture which still deeply moves me. My attitude to the history of modern Pagan witchcraft has altered with changing knowledge of it. Back in the 1960s I believed, following scholarly orthodoxy, that the witchcraft of the early modern European witch trials was a pagan religion. In 1973 I debated against the historian Norman Cohn (author of Europe’s Inner Demons (1975), the work that accused Margaret Murray of having tampered with her sources to make them conform to her ideas about witchcraft) at Cambridge University, where I defended the historical legitimacy of Charles Godfrey Leland’s ‘witches’ gospel’, Aradia, and was floored by him. After that, as I read more and more of the new research and checked the original records (for England and Scotland) myself, my belief in the idea that witches were members of an ancient pagan religion gradually evaporated. So, you are not actually hostile to Paganism as some people seem to think? The story of my life would be inexplicable if that were the case. Did you write The Triumph of the Moon to demolish the traditional history of Pagan witchcraft? Absolutely not: I wrote Triumph to fill a vacuum created by the collapse, within Britain, of that traditional history: which is why I do not devote any space in the book to a sustained attack on that history itself. The concept of early modern witchcraft as a surviving pagan religion, which had been scholarly orthodoxy in the mid-twentieth century, began to disappear among professional historians around 1970, along with many other nineteenth-century beliefs. At the same time, many Pagan witches who had worked with founding figures of traditions, such as Gerald Gardner, Alex Sanders and Robert Cochrane, had always expressed doubts regarding the truth of what those founders had claimed about the history of those traditions. By 1990 these two developments had converged to produce a general disbelief in the origin story of modern Paganism among its British leaders. During that year (before I had published anything on Paganism myself) I attended a conference held at Kings College London at which a succession of them declared that its traditional historiography should be regarded as myth and metaphor rather than literal history. As I mention in Triumph of the Moon, this had already also begun to occur in the United States from the 1970s: Isaac Bonewits, Aidan Kelly and Margot Adler all alerted American Pagans, in different ways, to the fact that the traditional account of their historical origins was problematic. Then The Triumph of the Moon was not some sort of attack from the outside but a contribution to a debate which had already begun inside Pagan witchcraft itself? That is broadly true, but in Britain the debate was really over by the time that I wrote the book, at least among the Pagan leadership. I wrote the book to suggest a real history for Pagan witchcraft which could be substantiated from the sources, and to rescue it from the accusation that it was an invented modern religion produced by a few cranks on the fringe of society. I showed that it represented instead a distillation of cultural developments which were actually central and very important to modern Britain. Its goddess and god, for example, were the two ancient pagan deity forms most honoured and needed by British writers for about one and a half centuries before the appearance of Wicca. This process, by which certain divine forms suddenly become vivid and important to the human mind at particular points in history, is what is usually termed revelation. Rather than remain regarded as a rather suspect cult on the cultural margins, Wicca could, I argued, be recognised as a worthy religion, of some importance, not least because it was the only one which England has ever given to the world; and one of which it could be proud. To judge by the reviews that the book received from establishment figures, I generally succeeded in this aim, with positive consequences for the acceptance of Paganism in national life which I have sought to enhance since in my role as an advisor to national bodies. In that role, I have repeatedly played a key part in countering misinformation and misrepresentation regarding Paganism in Britain, especially in the mass media and the educational, judicial, police and caring services. Occasionally, in certain high-profile court cases, this has achieved spectacular, and well-publicised, results. My effectiveness in this regard has depended heavily on my lack of a publicly-professed personal religion, which is the main reason why I keep my religious beliefs, if any, to myself. I have, however, been elected an honorary life member of both the British Pagan Federation and the Council of British Druid Orders in recognition of the practical effects of my work. I have faced a difficulty, however, in that when my book reached other parts of the world, in which the traditional account of Pagan history was still accepted as orthodoxy and I was not personally known, notably in regions of America and Australasia, it was taken as an attack on that traditional account and not a replacement for it. There was nothing much that I could do about this, as the cultural contexts were so completely different and I had no relationship with the communities concerned. But why does it look like, to many practitioners, that there is a surviving ancient pagan witch religion? Is it a failure to define witchcraft and therefore recognise it? There are at least two different reasons. The first is that the view of early modern witchcraft as an ancient pagan religion had been around for one and a half centuries before it was abandoned by professional scholars, so it will take a while completely to disappear. The second is that the figure of the witch is, once redeemed, an extremely attractive one to modern radicals. It represents one of the very few images of independent female power which our society has traditionally bequeathed to us. It also speaks to anybody who has felt marginalised by their community because they are in some way different, and feel that this is because they are essentially special, possessing psychic powers and abilities to recognise elemental truths which most people lack. I myself think that it can be turned around in this way, providing that the process is recognised as a recent reorientation of the witch figure and not a reflection of what most people have always believed. So what have ‘most people always believed’? The English word ‘witch’ has always been the equivalent in this language of those used across the world, in many different tongues, for somebody who uses magic to hurt other people. A fear of this sort of person has existed across most of the inhabited world and in all times (though not among all peoples), and given rise in many places to mass persecutions of suspects. The trials of suspected evil magicians held by the ancient Roman republic, long before the birth of Christianity, produced rates of execution surpassing any in the early modern witch persecutions. Witchcraft was not a religion, nor the remnants of one, but a way of blaming somebody else for uncanny misfortune. If witchcraft were the same thing as a pagan religion it would not have been persecuted within pagan societies – in fact they would not have even noticed it, because it simply would have been part of their religion. Between 1400 and 1800 Western Christianity did, however, add something new to the image of witchcraft in that, uniquely, it reclassified it as a rival religion, serving the Christian devil. Every society across the world which has believed in witches has also believed that they could be opposed by a different kind of specialist who used magic for helpful purposes, although commonly for a fee. This sort of person was traditionally known in English as a ‘cunning’ or ‘wise’ woman or man, though also by many local names. Individual people could move, in the perception of others and perhaps in reality, from one category to the other, but in the early modern trials the percentage of cunning folk who were accused of witchcraft is a very small one, across most of Europe. The distinction was, however, blurred from the late sixteenth century in England by Protestant evangelists (such as Reginald Scot) who tried to demonise all magic by claiming that cunning or wise folk were also witches, being equally inspired or deluded by the Devil. In the early seventeenth century they coined the term ‘white witch’ in pursuit of this objective. They seem to have had virtually no impact on ordinary people before the very modern period, but in the nineteenth century the expression ‘white witch’ was taken up by folklorists to describe cunning folk, and entered popular parlance in the twentieth. In traditional folk language it is a contradiction in terms. It seems to me that Pagans I know aspire more to be pagan priests or priestesses rather than what is traditionally defined as a ‘witch’. Certainly I don’t know any Pagans who would aspire to be the malevolent witches of popular tradition. The difficulty here is that many whom I know do aspire to be both priestesses or priests and witches of a different sort from the traditional: and the distinction is important. To be a priestess or priest can mean simply serving the divine passively, but a witch is more of an independent agent, making a relationship with the supernatural more on her or his own terms and working to change things. Pagans today are commonly trying to do both, but more the second. I think that the term ‘magician’ also fits the latter role just as well as ‘witch’, without the same connotations of fear and suspicion. ‘Witch’ however, also carries today associations of power and glamour, especially for women, so perhaps it is worth carrying on the struggle to redeem the word in popular parlance anyway. I think the choice must be up to individuals, as long as they have a good understanding of where the old prejudice against the words ‘witch’ and ‘witchcraft’ comes from, and how deeply and widely a fear of the witch-figure runs, through many societies which are not Christian. You seem to be saying that people should be free to behave in ways that are not sanctioned by historical tradition. That is exactly what I am saying. The past can be changed or rejected by us instead of acting as a tyranny, and historians are here to inform people better about it and not to suggest what anybody then does with it. As I understand it, historical scholarship currently proposes that while some people accused as witches may have believed that they were harming others by witchcraft, there were not actual societies – or traditions – of witches, despite the fact that people believed that there were? Is that right? And this leads into the aspect of witchcraft studied by Carlo Ginzburg. You are correct, but the part played by ancient ideas in the formation of early modern witchcraft identities and the inner mental world of early modern witchcraft and magic are two aspects of early modern witchcraft that have been less studied by British and American academic historians than those outside the universities or academics on the Continent. Authors well known to modern pagans such as Carlo Ginzberg and Emma Wilby have worked in this area, but valuable work has also been done by Gustav Henningsen, Lyndal Roper, Philip C. Almond and Thomas Robisheaux which Pagans might follow up. Many modern pagans take Ginzburg’s work as proof of real societies of witches. As I have already explained as clearly as I can, in both Triumph and my debate with Jani Farrell-Roberts, neither Carlo nor any other reputable historian since 1980 has argued that the people accused of witchcraft in early modern Europe were practitioners of a surviving pagan religion. What Carlo and many others have acknowledged (as I do) is that medieval and early modern Europeans constructed their world-picture out of materials taken from both Christianity and ancient paganism, making a mixture of both which they believed to be a form of Christianity. Thus there were plenty of pagan elements in the stereotype of witchcraft which they developed: unsurprisingly as ancient pagans had themselves persecuted witches. Sometimes different groups of early modern people disagreed over what was actually permissible, and Christian. The most famous case, and the extreme one, consists of the benandanti of north-eastern Italy, whom Carlo discovered for modern historians. They were a group of people, themselves devout Christians, who believed that their spirits left their sleeping bodies at night to fight witches in order to defend their communities. In the years around 1600, however, they fell foul of the local Catholic Church, which, influenced by new theological thinking, decided that their belief was itself demonically inspired. The benandanti were neither pagans nor witches, but they were motivated by beliefs that were almost certainly pre-Christian. Unfortunately it is difficult to find another group of people in Europe like them. What is much easier is to find beliefs about what witches were supposed to do which were inspired by pre-Christian tradition. Are you opposed to Ginzburg’s work? No: rather, I have a different view of the subject which complements his. Carlo and I are friends, with a mutual respect perfected by an international gathering of scholars convened by Harvard University in 2009 to mark the twentieth anniversary of his great book Storia Notturna, translated into English as Ecstasies. I was the British historian invited to the event, and when my turn came to present I acknowledged that Carlo’s use of shamanism, as an interpretative framework for the beliefs that underpinned the early modern witch trials, drew useful attention to linkages and similarities across Europe. I also felt, however, that it obscured major regional differences in ancient conceptions of the supernatural which explained important variations in the trials, such as why it was mainly women who were accused in most places but mainly men in some, why some areas experienced intense witch-hunts and other none, and so forth. Ireland, Scotland and Iceland, for example were all neighbouring societies very similar in structures of economy, society, gender relations and religion, and yet had utterly different experiences. Ireland had very few witch trials, and none among the Gaelic population. Scotland had almost none in the Gaelic areas but one of the most savage rates of execution in Europe in every other region, in which women predominated. Iceland also had an intense witch hunt, of which almost all the victims were male. The solution, I propose, may be found in their ancient traditions. Gaelic areas differed from the European norm in blaming land-spirits (fairies) for misfortune rather than human beings, while Iceland had a genuine tradition of shamanism, in which men were regarded as more magically dangerous than women. This model was accepted by the company at Harvard as viable, with Carlo being especially complimentary. I shall make it the subject of a large book to be written in the next few years. While there is no decisive evidence to substantiate the existence of Pagan witchcraft before Gardner, many Pagan witches would say that this is because their religion was secret and passed down via oral tradition. What are we to make of claims regarding oral tradition? I have no interest in contesting the claims of modern Pagans to represent a secretly surviving tradition, as long as the practitioners do not attack me or offer any actual historical evidence for scrutiny. If they do neither, then they are effectively standing outside history and are not the concern of a historian. I regularly read articles by contemporary witches, expounding one system or another which they say has been passed down through their family or their initiatory tradition for centuries, and offering no evidence to support this claim. They are no concern of mine, and it is open to others to believe or disbelieve them as they will. Gerald Gardner’s Wicca was, however, based on specific historical evidence, above all the early modern trials, and academic framework of interpretation of it, which were very much the business of historians. If modern Pagan witches do not represent a continuation of a religion that survived the Witch Hunts and can be traced back to the pre-Christian era, then what is our lineage? Most notably in a chapter in a collection entitled Paganism Today, published in 1996, I have taken direct issue with the view generally held by academics that there were no links between ancient and modern paganism at all. In reply I identified no less than four cultural streams which connected the two: ritual magic, cunning craft, folk rites, and (above all) the persistent love affair of Christian culture with the art and literature of the ancient world. All these streams of images and ideas were, certainly, maintained between the early medieval and modern periods by people who were at least nominally Christian, but none the less they were preserved. The great development of the modern age was for them to be filtered back out of general Christian culture and recombined with an active allegiance to pagan deities to produce a revived and viable set of Pagan religions. This essay in Paganism Today was my manifesto for Triumph of the Moon and intended to be read in conjunction with it, which in Britain it certainly often was. Abroad, however, the essay tended to be unknown and the book read outside of its vital context. Some might wonder how ‘Christian’ those who maintained those four ‘streams’ really were? They certainly thought that they were Christians, and it requires a very narrow definition of Christianity to declare that they were wrong. The pagan and Christian elements in medieval culture, as indeed in all European culture between 400 and 1900, are so closely woven together, in every aspect of life, that it seems pointless to try to separate them out. Indeed, the most narrow-minded and intolerant of medieval and early modern Christians tended usually to be far more worried by what they thought to be the wrong sort of Christianity, or by Judaism or Islam, than by pagan elements in their world. There is, moreover, a strong positive argument for Pagans in the present day in drawing attention to the massively important and ubiquitous contribution of ancient paganism to mainstream European culture: that they can now claim to be the heirs of a tradition of enduring central relevance to all levels of society even during the period of Christian dominance, rather than to a furtive, marginalised and outlawed one. So, how do you reply to those who believe that you argue that there is no direct and consistent connection between ancient and modern Paganism? I can offer no less than three, quite different but equally important, replies. The first is that ever since I first began to write about paganism, in my Pagan Religions book, I have emphasised that there is a direct line of transmission between the ancient and modern kinds, though the medium of ritual magic. This was a clear counter-cultural tradition, in opposition to both pagan and Christian religious norms in Europe, but rooted firmly in the orthodox attitudes to religion and magic taken in ancient Egypt. Not only does it represent a demonstrable continuity, text to text and person to person, across the centuries, but Egyptian magical texts contain the clearest parallels to the beliefs and practices of modern Pagan witchcraft in the ancient world. In Witches, Druids and King Arthur, I went further, to show how astral magic in particular had opened a space for the continued veneration of pagan deities within a broadly Christian framework, which more or less spans the gap between the end of ancient paganism and the appearance of its modern counterpart. I am tempted to speculate that modern Pagans would have recognised the importance of this connection, and been able credibly to claim a direct and unbroken lineage of descent from antiquity, had they not been sidetracked by an error made by academic scholars in the nineteenth century and perpetuated by them into the early and mid twentieth, of identifying the people prosecuted for witchcraft in the early modern period as pagans. My second reply is that it is ridiculous to declare that no religion has validity unless it can claim unbroken descent from the remote past. Most of the major faiths of the world have undergone periods of reform in which members have jettisoned the norms of those faiths during the recent past to renew them by reference to much older practices. To take the example which has produced the most influential effects in the Western world, Protestant Christianity was founded on the claim that the faith of Christ had been corrupted by medieval Catholicism and that it was necessary to return to its earlier texts for the inspiration to purify and renew it, vaulting over the many centuries between. Pagans today are likewise perfectly entitled both to filter out the elements of paganism preserved in medieval and early modern Christian culture and to return directly to those preserved in the texts and art of the ancient world, to rebuild a paganism suited to the needs of the present. Indeed, the appearance of postmodernism as a major school of philosophy powerfully reinforces this justification, highlighting the way in which the present always appropriates and transplants aspects of the past in order to serve its requirements, and celebrating that process. My third reply is that I am surprised and dismayed by the heavy emphasis which Pagans who are attempting to reassert an unbroken tradition of pagan witchcraft, of the kind developed by scholars in nineteenth-century universities, place on tradition itself as the main test of authenticity in religion. It seems to relegate to second place, if not to discount altogether, what are usually taken to be the two most important aspects of religious authenticity: the relationship between the adherents of a religion and the deities or spirits whom it honours, and the impact that this makes on a society. If those practising a religious tradition have an overwhelming sense of the genuine in the contacts that they make with their divine beings, then that tradition is a viable one, and those contacts, not claims of initiatory descent or length of practice, are the core of it. It seems to me that in this regard Pagans score very highly. As for impact, Paganism has been in existence in its present form now for over half a century, with precursors going back another hundred and fifty years, and enriched the society around it with images and ideas that make a significant contribution to art, literature and music, while attracting members who are remarkably tolerant, well-adjusted and well-behaved in comparison with some of those belonging to more evangelical and monopolistic belief systems. Do you think that Triumph of the Moon should be the definitive history of Pagan witchcraft? I don’t believe in definitive histories: the writing of history is and should be something that is ever changing and developing. Triumph is not a general history of witchcraft or paganism, or even a general history of modern pagan witchcraft. It set out to answer the question of how, if the old-fashioned academic idea of an enduring English witch religion no longer has firm historical foundations, the basic model for modern pagan witchcraft across the world happened to appear in England in the 1940s: why there and why then? I think that I did propose such an answer, based on sufficient primary research. My hope was that it would inspire or provoke others to further original work, and in the case of friends such as Philip Heselton it did. I am disappointed that so few Pagans have as yet tapped into the very rich resources of Victorian and Edwardian literature, folklore collections and legal records, which provide ample, and easily accessible, material for the history of modern Paganism in the period in which it was taking shape. There is also a need for more books or web sites, which make accessible to Pagans the riches of pagan imagery and ideas as developed both in the ancient world and in the Christian centuries, as resources for creative use in the present. Are you intending to write those? In order to keep my job, I need to write books for a general audience, with many aspects that appeal especially to my academic colleagues, rather than for Pagans. I do have an article that is designed specifically for them, coming out in the next issue of The Pomegranate journal called “Writing the History of Witchcraft: A Personal View” in which I discuss the history of witchcraft scholarship within the last forty years and the effect it has had on the self-image of modern pagan witches. I situate my own work within this wider scholarship and suggest avenues of further research that could be taken up by both professional historians and pagan practitioners. As part of this process I also provide a section by section reply to Ben Whitmore’s Trials of the Moon. The piece is designated a ‘review article’, which means that it can be read on the Internet free of access and charge. It will provide proper source references to the information that I supply at points in this interview. One of the problems that Pagans encounter in dealing with academic work is that they can gain access to it on the Internet (where it is least commonly found) or (with more difficulty) in books, but few have access to the specialist journals and collections of edited essays in which most professional scholarship is published. My article provides some access to the research aired in these, including my own, of which a lot of Pagans outside of the academy are completely unaware. In addition, my books will continue to be of interest to Pagan readers. I am writing one at present called Britain’s Pagan Heritage, which is a more detailed and updated version of Pagan Religions of the Ancient British Isles. Although I put a lot of my own comments into the latter, and recognised the existence of alternative views to those of academic scholars in a manner rare for an academic, that earlier book was mainly a synthesis of the ideas of specialist archaeologists and historians about ancient British and Irish religion, as expressed in the 1980s. That is, of course, why they liked it so much, and why the archaeologists elected me to the Antiquaries as described. The new book is confined to Britain to allow me to go into more detail, and in addition it contains much more original research of my own, tested over the past two decades in a string of essays and conference papers. It covers the current evidence for, and interpretations of, pre-Christian religions in Britain from the Old Stone Age to the triumph of Christianity, and also deals with the question of subsequent pagan survivals. After that I am going to write a book on the history of witchcraft itself, something that I have never actually done hitherto. Again, I have been working towards this for twenty years, and road-testing its more important arguments in articles and presentations, of which my participation in the Harvard colloquium represented one step. In addition I continue to support the work of others, both inside and outside the academy. I have sixteen postgraduate students at present, working on such topics as the image of witchcraft in English literature; the history of Hallowe’en; the early modern witch trials; the history of theurgy in Western occultism; and the image of the Goddess in ancient, medieval and modern contexts. Thank you Professor Hutton, that was fascinating. As usual you have provided a mountain of important and useful information on a contentious subject (at least amongst Pagans) in an inoffensive and educational manner. I'm sure it will prove interesting to readers of this blog and I expect it will contribute to the continuing enhancement of discourse within Paganism. Scorpius rising in the eastern night sky followed, as the season progresses, by Ophichus herald winter, and towards the southeast, Saggitarius returns to complete the star-cycle of the year. In southern Australia, the weather really begins to cool down, birds fly north, and fungi emerges from the forest floor. However, it is a fertile season: there are many flowering and fruiting plants, quolls breed, the dingo mating continues, and whales migrate along the coast to calve and mate. In the north, it is the end of the wet and the start of the dry season; the rains are diminished, the days are hot, but the nights are cool. The land is covered in long grass and in some areas the indigenous 'firestick farming' method of burning the grass begins. At this time goannas mate, the eggs of magpie geese hatch and many other birds begin nesting. As May progresses into June, the cold season approaches and it is the start of the great harvest of bush vegetables. Meditation: Mysterious fungi sprout above the earth's surface in faerie rings while the greater part of their plant-body remains beneath the ground. These portals to the Underworld beckon to us: mushroom doorways leading to secret passages within our consciousness. This liminal season stands between the old year and the new; it is a time to traverse the otherworlds, greet the dead and divine the future. 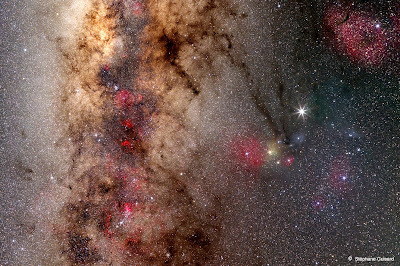 Enter the dark tranquility and explore the mind's labyrinth. Samhain: The altar is draped with a cloth the colour of midnight and covered with numerous candles. 'One light for each Spirit here with me tonight,' whispers the Witch. Magic mushrooms steep in a goblet of wine and a crystal ball rests on a nearby black cushion. Sipping from the concoction she stares fixedly at the orb and as it begins to cloud over, utters a greeting to her ancestors.